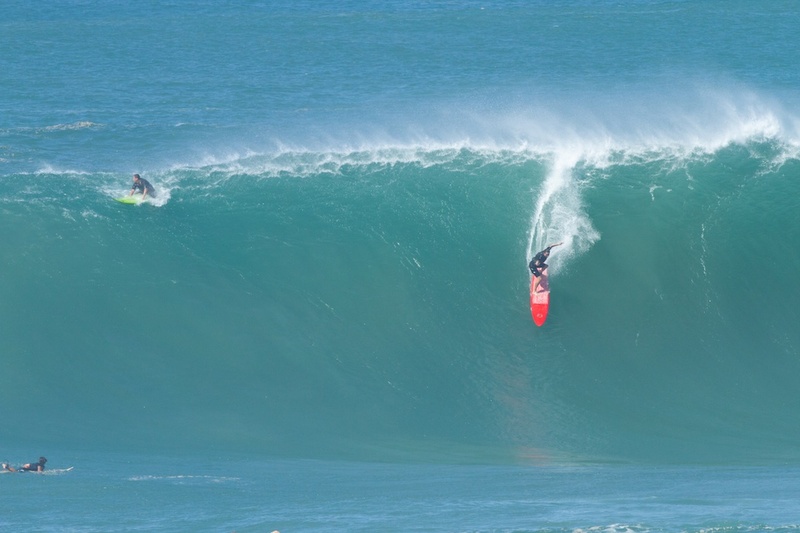 XXL Swell at Waimea Bay - How I overcame my fears to surf at one of the biggest days in recent years. 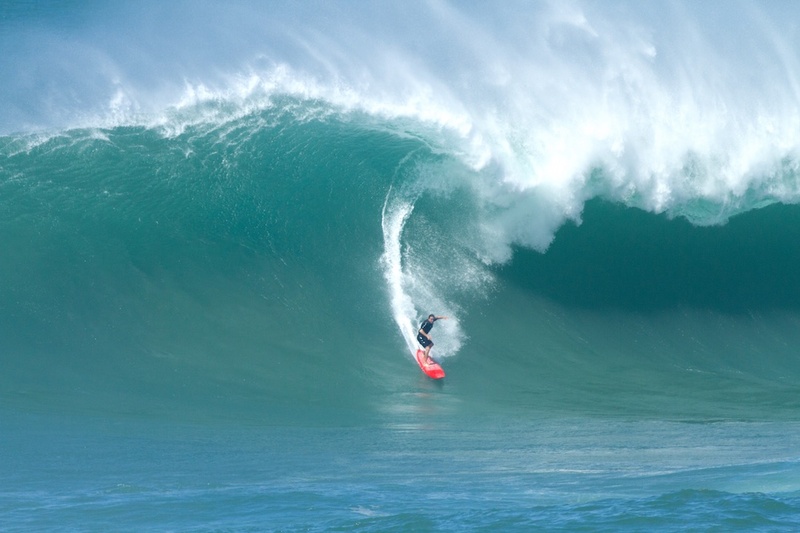 XXL Swell at Waimea Bay – How I overcame my fears to surf at one of the biggest days in recent years. The swell came in a lot earlier and bigger than predicted. 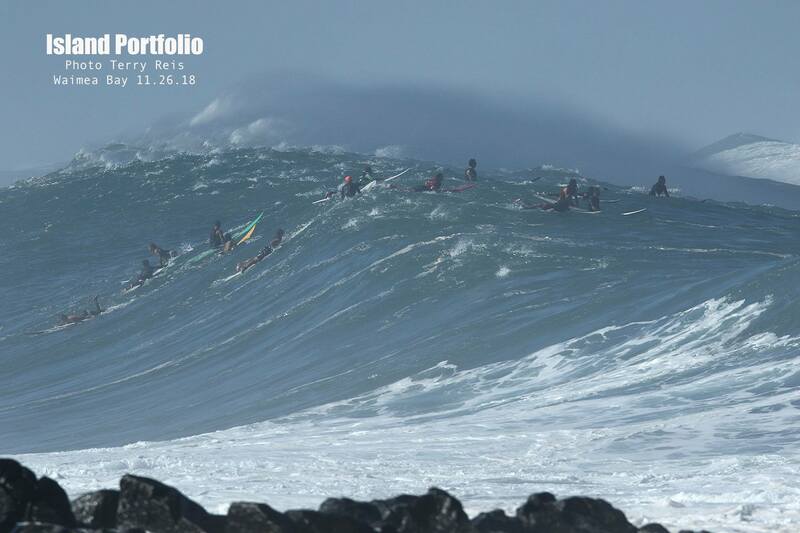 It was also the first large swell of the Hawaiian winter season. It clearly became a XXL day by mid morning and 25 foot sets closed out the Bay every 20 minutes making almost impossible to paddle out. 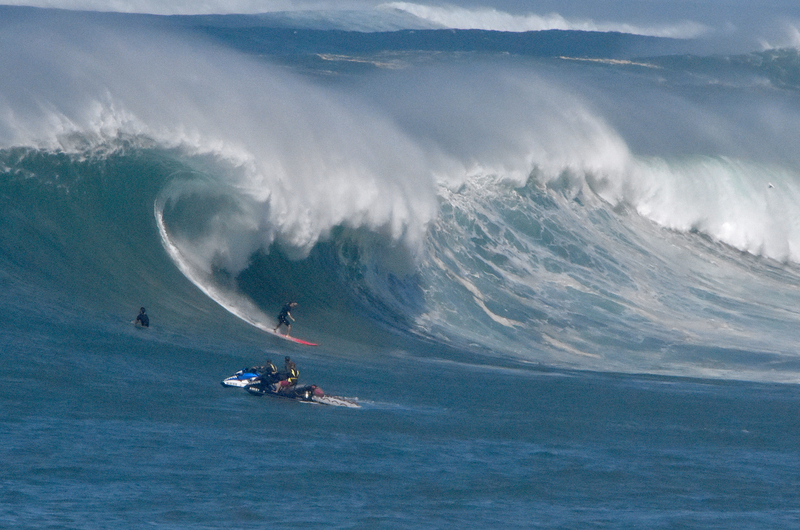 By 8:00 Am on November 26th, Waimea Bay was closing out. A handful of surfers were already outside, they timed the sets well and all managed to paddle out through the channel without any incidents. After watching for about 30 minutes next to some of the most experienced Bay surfers stating that it was impossible to paddle out, I decide to stop looking and went to prepare my equipment. I knew if I kept looking I was going to give up. 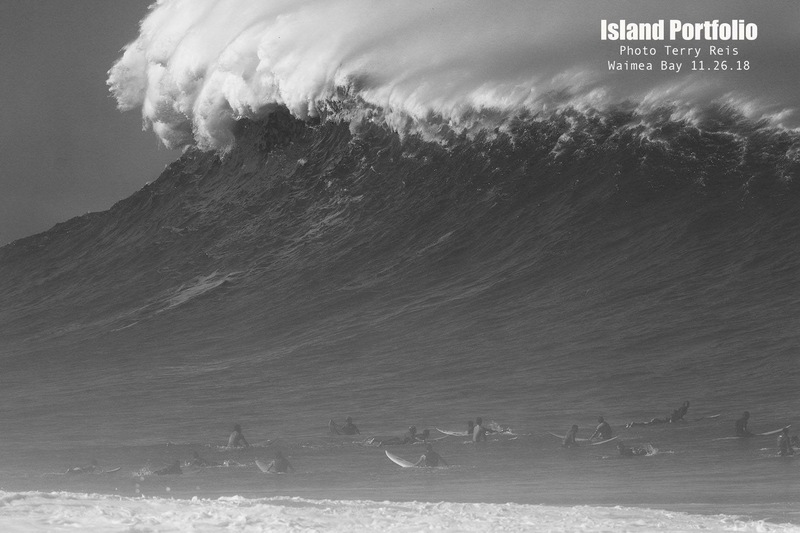 The giant sets weren’t taking any break, every 20 minutes the Bay closed out and any set in between were solid 18 feet. “How can we get out there? ?” was the question. It was super consistent due to the combination of 3 large winter lows joining forces and arriving at the same time. After taking my time and making sure I had my equipment ready to go, Ian Masterson told me that I would have a chance if I paddle at the right time. As I was walking down the beach with my board I saw a guy trying to paddle out but got caught inside by a closeout set and he was pushed to the shore break. Once the set stopped, the lifeguards started yelling on the speakerphone at him to go straight in and get out the water. But he couldn’t listen to them, he paddled back out as the current was taking him towards the left side of the beach near the jumping rock. A few minutes later another giant set appeared in the horizon and we all feared for his life, he was at the worse imaginable place to get caught inside. He took maybe 6 or 7 giant waves in the head and disappeared for a while in the mist of the white water. 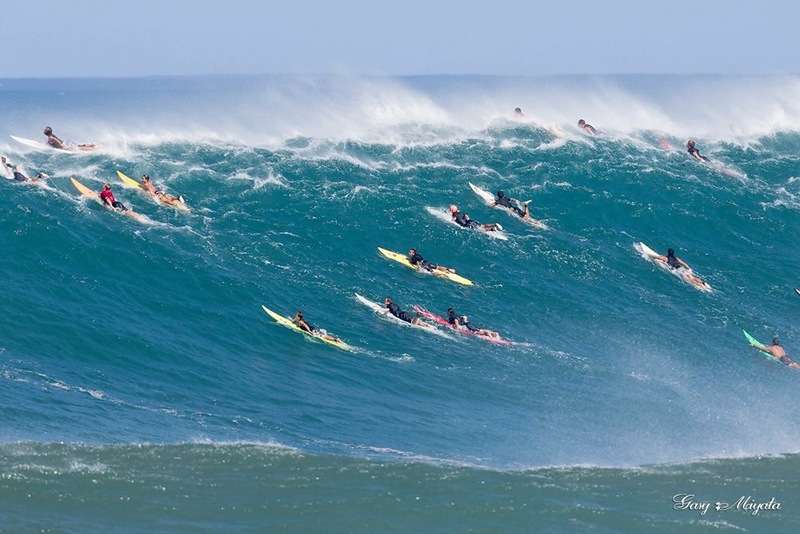 I was terrorized thinking that I just saw someone die in front of me as I was getting ready to paddle out. Luckily the force of the waves pushed him back to the shore break and spit him out of the water before he lost consciousness. The lifeguards helped him stand on his feet. I was relieved, but now I had to deal with my own panic. I waited and watched for a while, working on my breathing as more surfers arrived and waited for the right time to paddle out. I was really struggling to control my high anxiety levels. I used a deep breathing technic from my diaphragm in order to lower my anxiety and to oxygenate my body to increase focus and energy but it wasn’t working, I was still freaked out from what I just saw. Suddenly, the Bay calmed down a little and we decided to GO. I wasn’t ready but I couldn’t miss that chance. 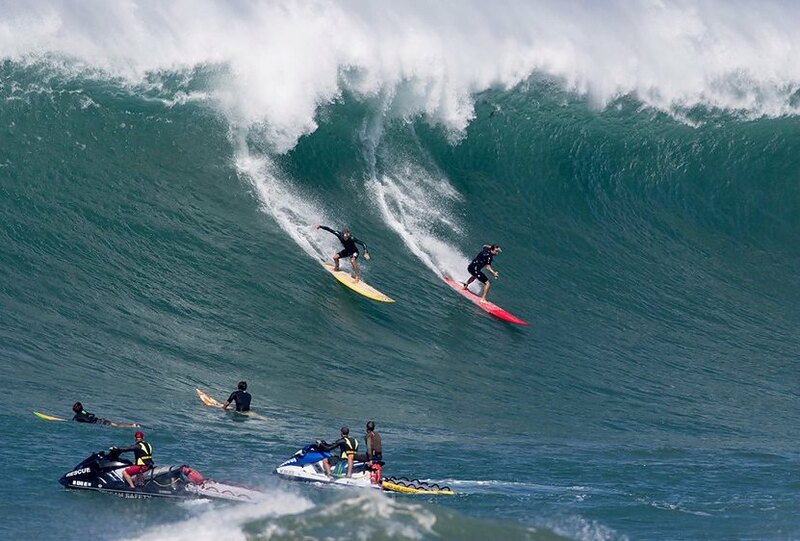 Plus, it always feel safer when you have a few surfers next you paddling out together. Luckily there were no sets and we all managed to get to the safe zone of the paddle out before the next big set rolled in. We were out! In the beginning of my sessions, I usually sit more outside than every else in order to catch my breath and oxygenate my body before attempting to get any wave on big days. I like to watch and manage all risks before paddling to the peak. After a few sets I am usually ready but on this day I couldn’t lower my anxiety, I was still panicking. My breathing was totally off, my heart rate was fast and out of control, my mind was freaking out and I couldn’t hold my breath for longer than 20 seconds. For almost 2 hours I had to work hard on my breathing in order to calm me down. By breathing deep from the bottom of my lungs, inhaling all the way up to my chest and exhaling slowly out while maintaining the pressure inside the lungs, it helps with the diffusion of oxygen in my blood and lowers my heart rate. Than I started practicing breath holds while sitting on my board. First 20 seconds, than 30s, 40s, 50s… When I could hold my breath for 1 minute I knew I was ready, or at least prepared for a wipe out. I normally can hold my breath for 5 minutes but I was stoked that I got to 1 minute at that moment. I finally decided to paddle to the peak. I caught a few waves with a few surfers dropping in with me. All of sudden a really good one rolled in and I was the deepest guy. Gavin Beschen dropped in and we both had an amazing ride together. We were stoked and almost hugged after that wave! That gave me motivation to go back and sit even deeper and wait for a bomb. It worked, I ended up getting one of the best waves of the day. It was a total of 6 hours surfing without a break. I surfed 7 or 8 waves, got a few really good ones by myself and no wipe outs. Of course I was playing safe at first but if it wasn’t for my ability to use my breathing pattern to control my anxiety, I would have never been able to relax and make the right decisions to surf safely on that day. 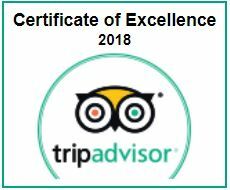 I really believe in the training I developed and I have a passion to teach my apnea & surf survival courses for that reason.  I have a passion to share my love and respect for the ocean with all my students, clients, and friends. I truly love what I do and I believe in it with all my heart 100%. It has not only helped me tremendously, but numerous other people who take the apnea and breathing courses I teach.